The addition of eCommerce into the world of retail along with an expanding global customer base, and shrinking product life cycles are all contributing to increased performance pressure on warehouse service providers. The following three supply chain trends are emerging as companies seek to maintain an organized and highly-efficient supply chain system to stay competitive in today’s market. As technology continues to evolve, the art of maintaining a productive supply chain must also change to keep up with the physical laws of supply and demand. The days of housing a massive inventory based on market analysis and yearly sales predictions have given way to a much more nimble “on-demand” supply model where most items in the shipping chain are pre-sold and in the pipeline to be delivered to the final customer. 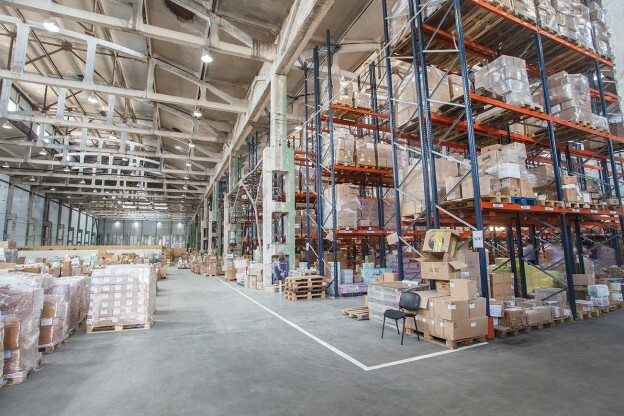 The result is that companies are reducing their warehouse space and the staffing required to maintain these cavernous storage facilities as they opt to employ third-party vendors to handle order management on an as-needed basis. The goal is to keep items moving toward their final destination while minimizing the risk that comes with over handling of merchandise. Modern warehouse service providers have the ability to track a package from the manufacturer’s facility to the end delivery point and report the status of that package at any time to the customer. Large warehouse megastores frequently use these companies to ship items like appliances and furniture from the manufacturer directly to the end customer. By constructing a web portal that links with their client’s backend system, each shipment is tracked from the moment of the order to the time of final delivery. Both the megastore client and the end-use customer receive regular notification of the status of shipments. The ability to create a single delivery price using this method allows the megastore to include shipping as part of the final price, creating a one-size fits all scenario that is pleasing to the end user. Notice that in this scenario, the product never touched any warehouse owned by the megastore. As supply chain management becomes less dependent on brute manual labor to move goods, it is more important to develop knowledge workers that are global in nature. Dealing with analytics, procurement processing, and analytics will soon account for more than half of the actual labor hours performed in executing the delivery of goods and services. As this side of the equation evolves, it becomes even more important to support multiple languages and employment cultures to seamlessly apply the supply chain process across the globe. Expect to see companies based in one country utilize logistical planning to put procurement centers, data analysis laboratories, and other important parts of the supply chain lifecycle in global locations that make the most geographic sense. If you’re a logistics manager and need a partner to help you strategically manage and successfully move your products out of the port and onto their final destination, feel free to reach out to us to discuss your needs. And for detailed information, maps, and contact information for the ports of Los Angeles and Long Beach, be sure to download a free copy of our Comprehensive Port Service Guide.